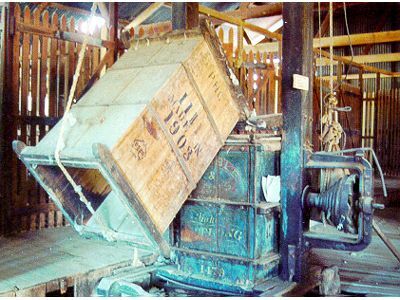 This heritage-listed woolscour, that once operated by steam, has been left intact as a living document. It is this last one of this type in Australia. There is a 20 stand shearing shed attached to the wool washing complex and an open flowing bore nearby. Outbuildings include a cookhouse, shearers quarters and managers residence. 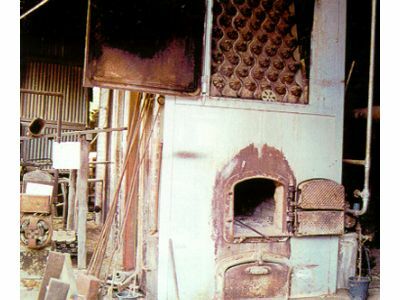 It has been left mainly intact and conservation work completed in 2002 reintroduced steam to the site. Adult $7.70, Pensioner $6.60, Child $4.40. Group Rates also available. Guided tours, limited wheelchair access, toilets nearby, souvenir shop, tea and coffee available, historic display. 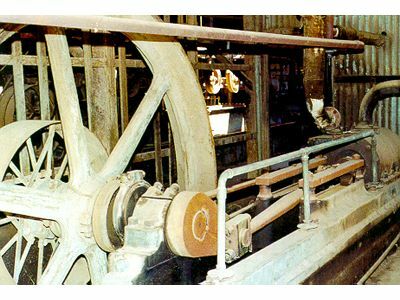 The collection consists mainly of historic machinery and buildings, large boilers, steam engines, wool wash troughs, large steam driven dryers, historic wool presses and dumping machine and a 20-stand shearing shed. Horizontal single cylinder type with a 18 inch piston and 8 foot fly wheel.